Caravan Clubs: Motor Caravanner - find the right caravan club for you. 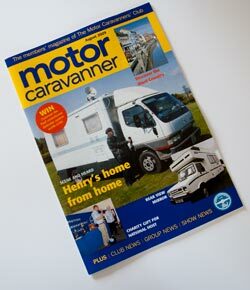 This is the monthly magazine of the Motor Caravanners’ Club. This is an excellent magazine which is produced not to sell advertising space but rather to be useful to members of the club who are of course all motorhome and motor caravan owners. The club web site has sections for members only where you can ask for advice and receive help from people who have probably already dealt with any issue that you are struggling with.